No matter where you live, at any time, scientists estimate that there are some 10 quintillion (10,000,000,000,000,000,000) individual insects alive. That’s 10 with 18 zeroes behind it–insects are alive on Earth at this very minute. That is nearly 1.5 Billion insects for every human being. From a population standpoint, insects rule our planet. Scientists have gotten around to naming almost 900,000 different species of insects, but some experts suggest that there may be as many as 30 million more species that have yet to be discovered and identified. [source: Smithsonian]. We silly humans just think we’re the leaders because we’re bigger. Although any ‘bug’ in a home can be unpleasant, keep the situation in perspective. Every one of them is a superhero of some sort. Most of these insects are completely harmless and may even provide valuable services for us. In reality, less than one percent of insect species are pests, and only a few hundred of these are consistently a problem. Although it might be hard to hard to know which ones are the good guys, all insects work to make life livable by keeping nature in balance. Tiny though they are, they are mighty; insects have had a great impact on humankind. Without insects we would not have the quality of life we enjoy today. Take bees for example. Without bees and wasps your diet would be a rather grim ration of bread and water. About a third of our food supply comes from plants pollinated by insects, and about 80 percent of that total is pollinated by honeybees [source: MSNBC]. Insects pollinate at least 90 of our fruit and vegetable crops. Some crops require particular insects to pollinate them. For instance, figs could not be grown commercially in North America until tiny wasps were imported from the Mediterranean to pollinate them. Who cares about fruits and vegetables, you say? Don’t think you’d just dine on beef without the insect pollinators. Bees pollinate alfalfa, the staple of the beef cow’s diet. Don’t forget the cute little ladybug! 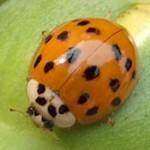 Ladybugs are other beneficial insects that help control pest insects. 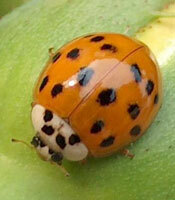 The fact that ladybugs have a diverse range of food sources makes them particularly valuable as beneficial insects. A few migrate to the southern states. Most insects, however, stay nearby finding cover where they can. All too often our homes provide just the winter shelter insects are looking for. Several types of invaders take up temporary residence in homes much to the dismay of human occupants. Fall and winter sees an increase in pest activity, such as spiders, ants, box elder bugs, and other insects, as well as wild animals such as mice and squirrels moving indoors as they search for adequate food supplies and shelter to get them though the long winter. As days grow shorter and nights colder, insects make their own preparations to survive the bitter cold Minnesota winters. Minus the couple hundred ants I killed in my kitchen last night, billions of bug-eyed insects are creeping, crawling, flying, burrowing and just waiting to call your home theirs. So what will you do when “swarmageddon” hits your house this winter? You can stay inside and grumble about the insects, or you can just contact a Minneapolis MN Exterminator! With the number of insects out-weighing the number of humans so astonishingly, it sort of makes me wonder – which ones are bugging you? A great way to formulate a plan and deal with unwanted pests is to use a pest management strategy known as Integrated Pest Management (IPM). This common sense approach to pest control utilizes a number of environmentally friendly techniques to keep pest numbers low and under control. Treatments are timed to have the most impact against the pest and cause the least amount of harm to its natural enemies.